EhLib allows to create Drop-down Forms that can be shown on pressing of edit button in the text editors. New component TDBVertGridEh - DataSet Grid with the Vertical Orientation. Global function to display a ObjectInspector-like Form. 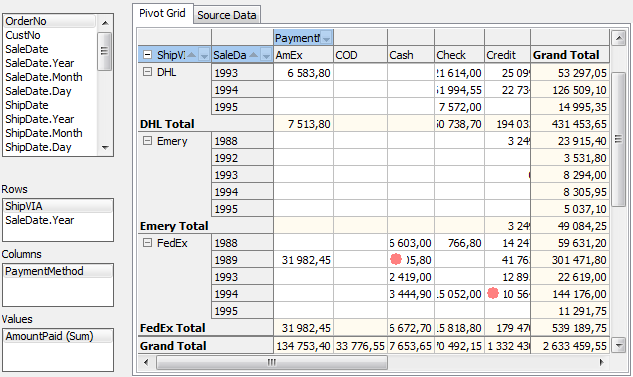 DBGridEh can display a special panel to search and filter the data in the grid. Extra horizontal horizontal scrolling bar. 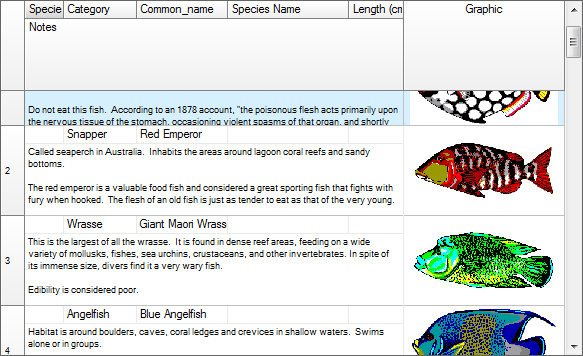 DBGridEh allows displaying additional information in the horizontal scrolling section. The number of entries in the DataSet and the number of selected records in a grid. Navigation buttons on records (DBNavigator). 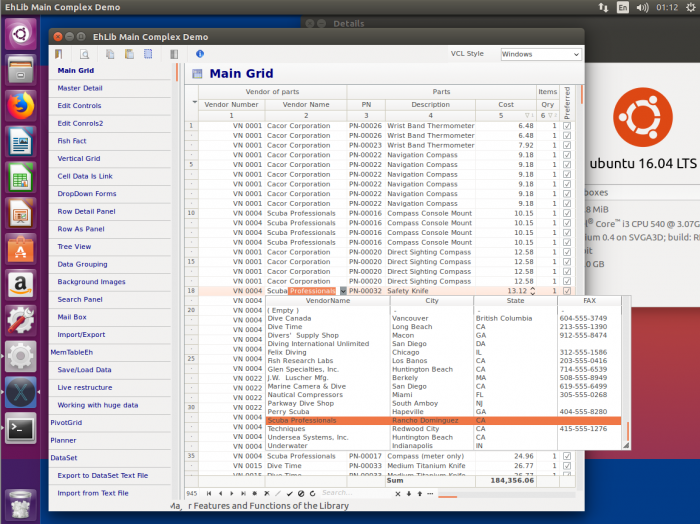 Search bar and filtering (SearchPanel). 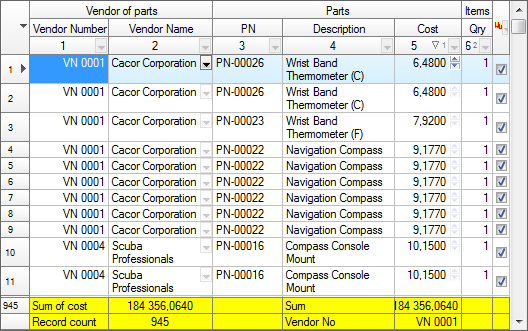 Summary information about the selected data (MultiSelected area). 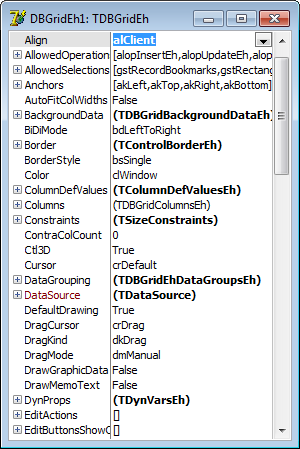 DBGridEh lets you display a static image (type TPicture) in the background of the client area of the grid. 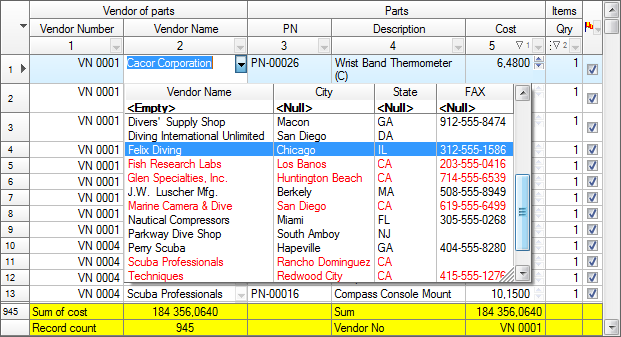 It is possible to set the color and hides dividing lines for the grid in general and for specific areas including the header area of the indicator area SubtitleFilter, data area and basement area (footer). 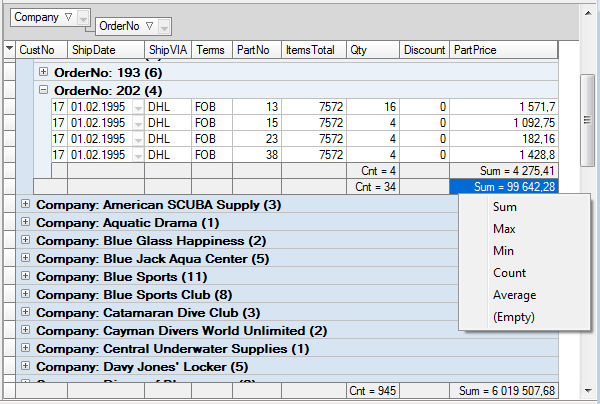 Grid allows to group data using columns as a criterion of grouping. It is allowed to display a grid summarizing the records for each group, and the overall record summarizing the bottom of the grid. 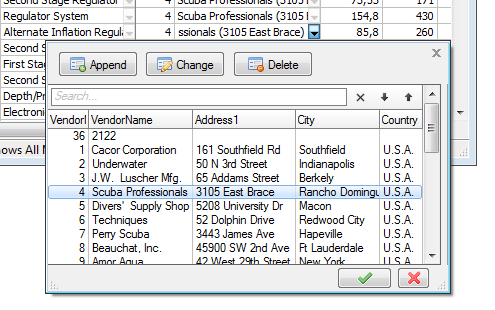 Grid allows to filter data using a droped down list box where users can select items for filtering using checkboxes. 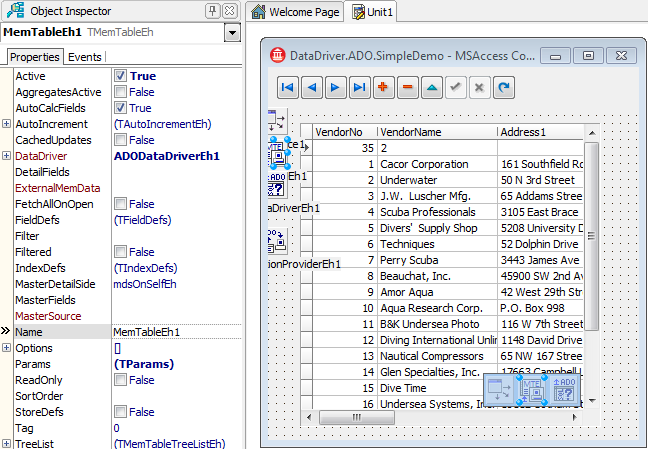 At design-time grid can show such components as DataSource, DataSet, DataDriver in its the bottom right corner. 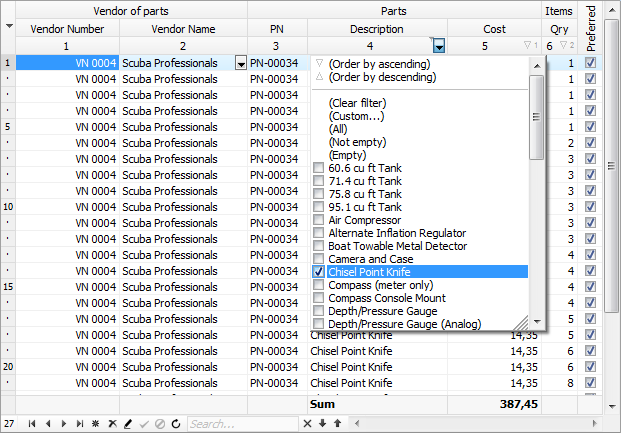 These components can be selected in object inspector by mouse clicking. 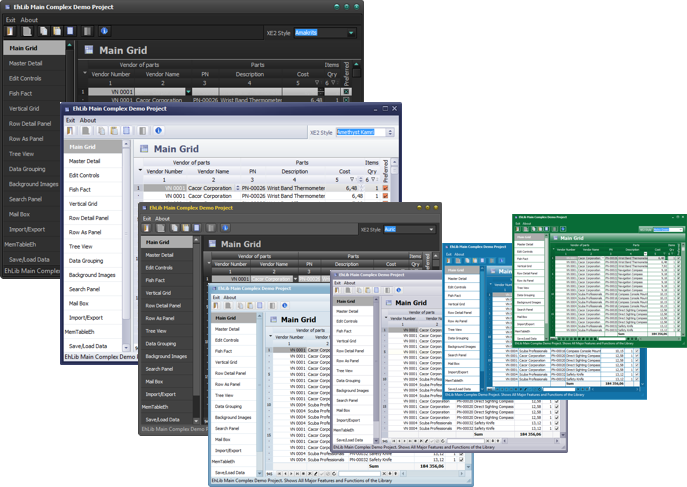 It allows to find quickly and select components which is connected to the grid. RowPanel: In this mode the grid allows to show out cells of record one under another and change height of every cell separately. 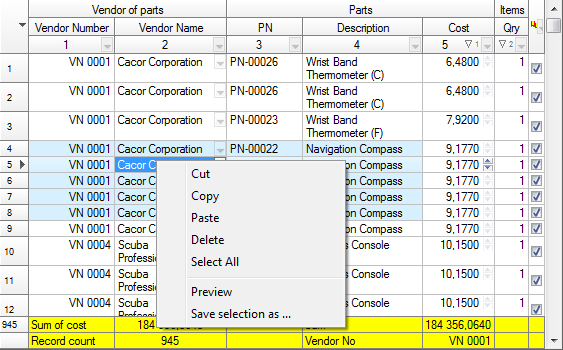 Have special titles that can correspond to several/all columns. Title can act as button and, optionally show a sorting marker. 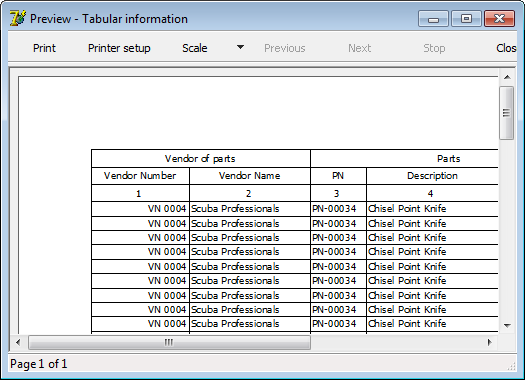 Show checkboxes automatically for Boolean fields and allows to show checkboxes for other type of fields. ​Sort data in various dataset's. Displaying a special line for the zero value of the key field. 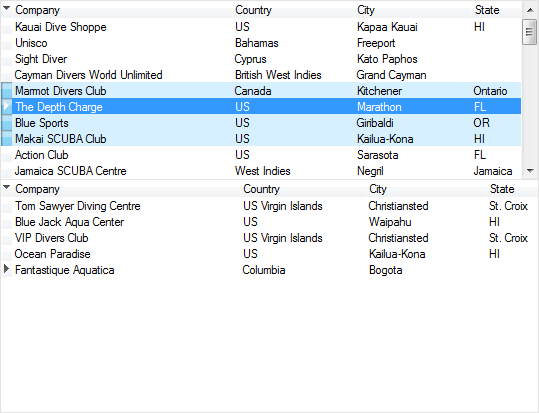 Grid can show edit buttons such as DropDown, UpDown and buttons with Bitmap. DropDown Callendar for TDataTime fields. 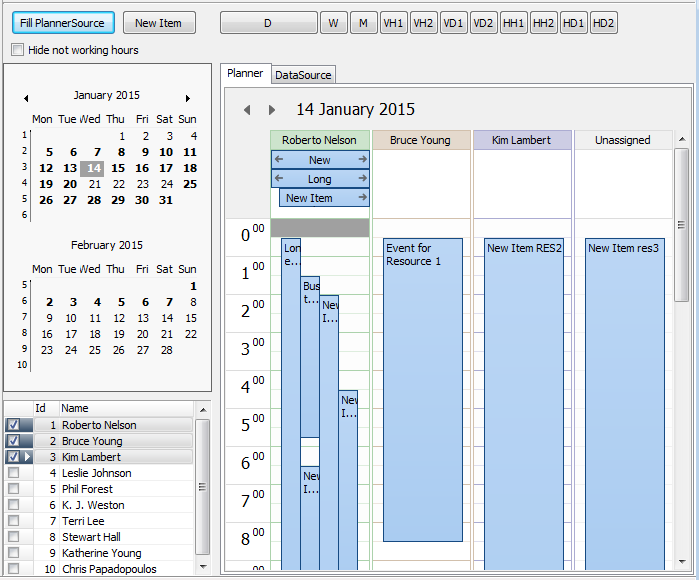 Grid can show Drop Down Callendar for TDataTime fields. Grid can show DropDown calculator for numeric fields. 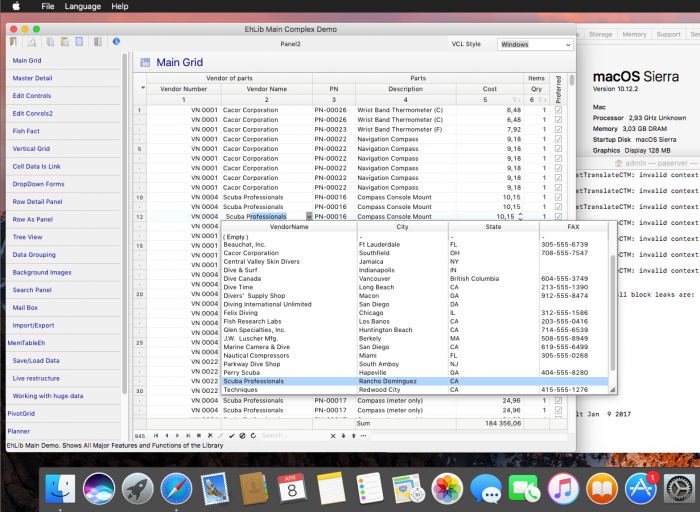 Grid allows to Drag and Drop of records between grids. 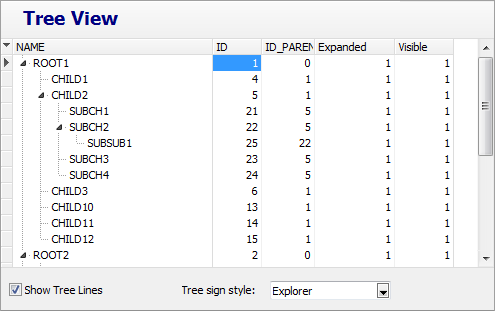 Grid allows to show the hierarchical structure of records in TMemTableEh. Draw graphics and memo data from blob fields. 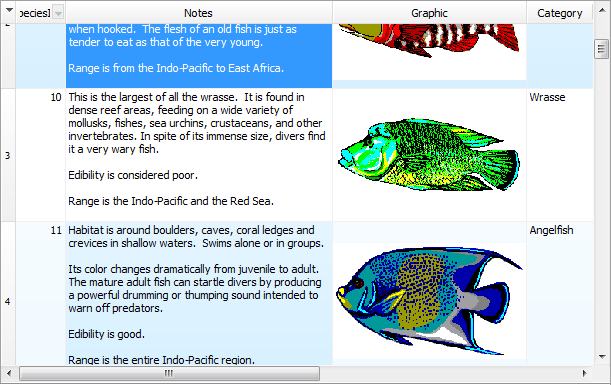 DBGridEh allows to show graphics and memo data from blob fields. 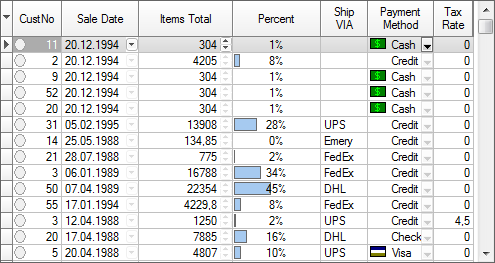 When height of the rows are high the grid can scroll data smoothly, not binding to the row borders. EhLib have a set of editors. Controls can work as in data-aware mode as in usual not data-aware mode. TDBCheckBoxEh - to edit boolean values or values with two states. EhLib have a component to preview DBGridEh on a screen and print it on a printer. Inplace preview. 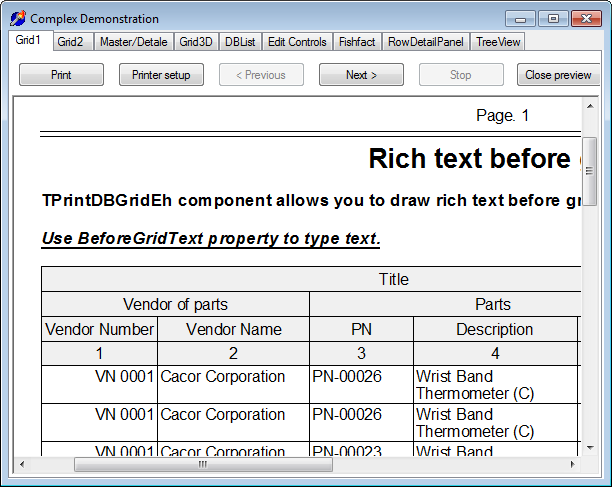 Preview of DBGridEh using TPrintDBGridEh component. 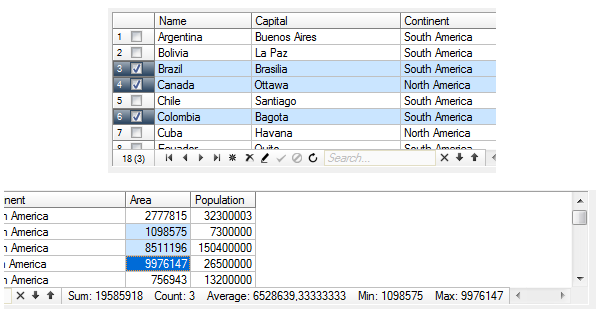 EhLib allows to export selected area of the grid or whole data of the grid in a varied formats. 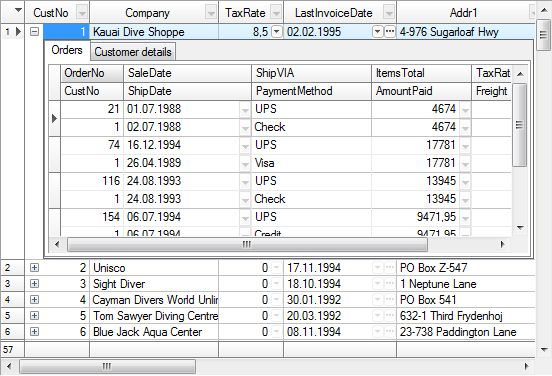 Such as Text, Csv, Hrml, Rtf or Xls. If you use the additional library - CrossVCL, starting from Delpi XE10.2, you can use the EhLib library to create GUI applications for Linux OS. If you use the additional library - CrossVCL, starting from Delpi XE10.1, you can use the EhLib library to create GUI applications for Apple OS X.